Courtesy of Bailey Photo and Memphremagog Winter Swim Festival, Lake Memphremagog, Vermont. 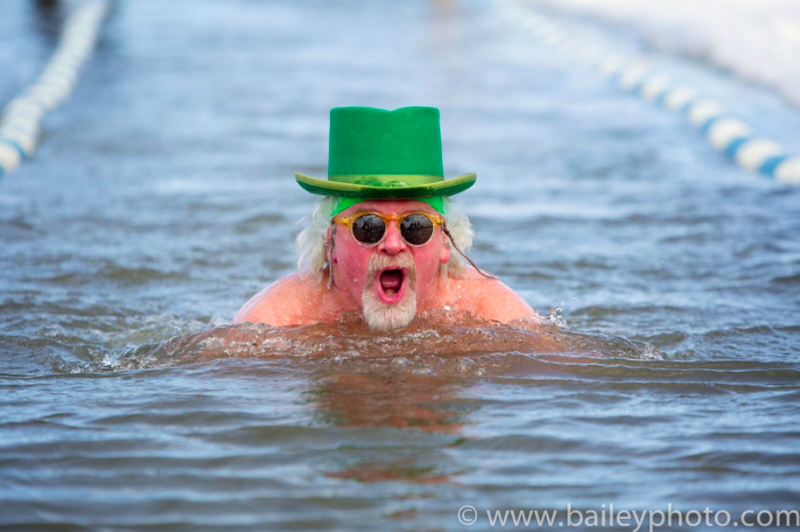 Renowned ice adventurer Ger Kennedy is visiting America with a talented contingent of experienced Irish ice swimmers including one of the fastest and most recognizable ice swimmers on the planet, 23-year-old Conor Turner. Turner finished second in the 1 km race and third in the 100m freestyle at the 2017 Ice Swimming Aqua Sphere World Championships in Burghausen, Germany. Kennedy and Turner will meet the crème de la crème of the United States and Canada at the Memphremagog Winter Swim Festival on February 23rd, 24th, and 25th in Vermont's Lake_Memphremagog. 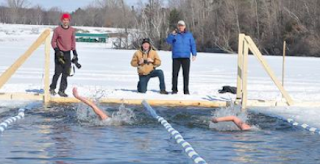 The event, organized by Phil White, includes 72 athletes, most of whom are competing in multiple races including the 25m Hat Swim, 25m/50m/100m/200m freestyles, 25m breaststroke, 25m butterfly and the 4x50m relay.